The amount of martial arts films from countries other than China and Japan is refreshing, and constantly introduces us to new talent. Even small budget films can be a gateway to the introduction of someone new, and that brings us to this film, and its star Daniel O’Neill. This film is low budget, or at least looks that way, maybe because of the high def cameras they used, which I am still not used to in regards to martial arts films. The film also has some odd editing especially in the transitions between scenes. The acting varies between okay and terrible,but none are worse than the guy playing Irene’s dad, who overacts every scene he’s in. His two main henchmen are actually better actors and more interesting characters than he was. The main leads themselves are adequate, O’Neill probably being the best. Where the story does shine is with the comedic moments, of which there are many, and they mostly work. There is one scene toward the end that gets turned on its head involving the “rescue” team that comes to save everyone that had me laugh out loud. 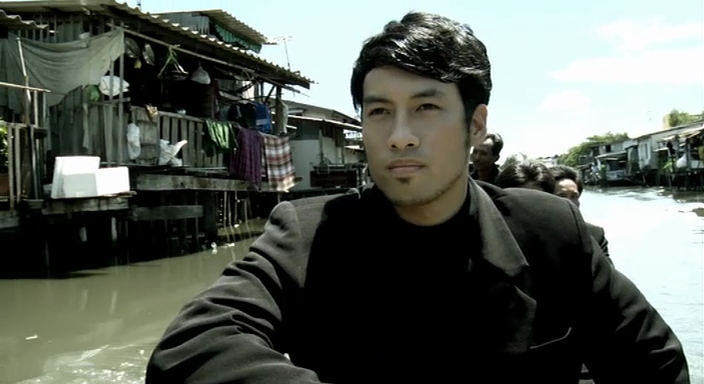 The fight choreography is good, but nothing different if you’ve seen any Panna Rittikrai films of the last few years. 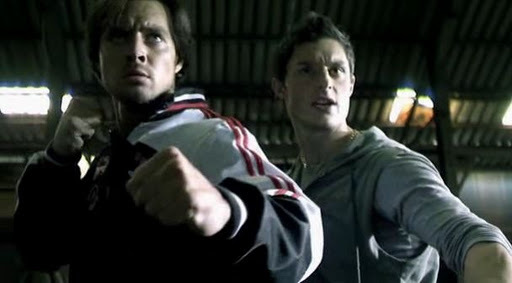 Huber and O’Neill get the lion’s share of the fighting as they are the martial artists of the film. The warehouse fight is well done, and really allows O’Neill a chance to strut his stuff. Huber does well, but isn’t as showy as O’Neill. What is great was a chase/fight sequence through a market between O’Neill and thugs led by Kazu Tang (Raging Phoenix, Bangkok Knockout). The fight with Kazu was small but good, and I wish a talent like Tang was in the film more. He exuded an onscreen presence no one else had. Daniel O’Neill has become a stuntman for a few Jackie Chan and Panna Rittikrai films, and wants to do more, and he certainly has the talent and good looks. His acting can use more work, but that takes time. He looked impressive in all of his fight scenes, but once again the fights were Rittikrai-lite and doesn’t seem to have much of a voice that differentiates it from Panna’s lesser film work. I would like to see O’Neill branch off into more films so he can find a place for himself in martial arts cinema. CHOREOGRAPHY: (7) The best fight was O’Neill versus Kazu Tang, which was great. The finale in the winery was really well done, but in the end there wasn’t a lot of originality to the fights. O’Neill used what he’s learned with Panna and Jackie, but now needs to merge it with a style of his own. STUNTWORK: (8) Pretty good stunt work by all involved. Nothing beyond the normal crazy Thai stunts, but it was good stuff that was well staged. STAR POWER: (5) No one of note outside of Kazu Tang. Daniel O’Neill has a chance to become something, but what that will be is unknown at this point. FINAL GRADE: (7) A fun low budget romp that has some decent fight scenes and lot of fun moments.